Managers started giving tours to potential leasers this week and already received a deposit for one of the 94 units. 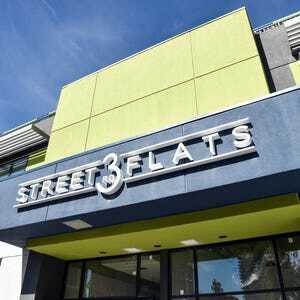 3rd Street Flats, the new downtown apartments replacing the 30-year-old Kings Inn Casino, plans to soft open Dec. 15 for tenants. Managers started giving tours to potential leasers this week and already received a deposit for one of the 94 units. The apartment building will include three ground-floor retail tenants: a restaurant, urban market and one other possible restaurant or bar concept. "The whole ideas is that when you get home, you don't have to go anywhere else," said 3rd Street Flats Property Manager Eugene Lee. "It's an experience." Lee said they are close to signing tenants for the urban market and restaurant, which might be Korean fusion. The third space was originally going to become a beer garden, but that fell through so they are looking for another option. He said he could not be more specific about the retail tenants until leases are signed. None of the retail spaces are particularly large. The urban market would fit within about 2,780 square feet. By comparison, the Walgreens above Interstate 80 is 14,500 square feet. The Trader Joe's in south Reno is slightly smaller than that. Lee said the convenience for residents will come from parking in the secure underground garage, stopping on the ground floor for necessities and dinner, then going upstairs to an apartment, without ever leaving home. A private entrance for residents separates both sides of the ground floor retail. The hallway leads to a lobby and social lounge where residents can hang out with guests in front of a fireplace, rent a kitchen or meeting room and take their pets outside to the private park. On the second floor, storage, a pet washing station and gym mix with vaulted-ceiling units. A pool, patio, fire pit and barbecue are on the second-floor roof. On the third through seventh floors, more than 10 different floor plans line the north and south sides of the building. The largest unit still available is an 1,100 square-foot, two-bedroom, two-bathroom apartment with full-size washer and dryer for about $1,900 per month. There are also parking and pet fees and utilities on top of that. 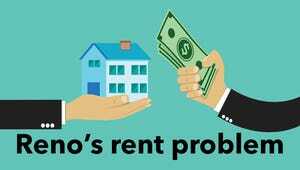 The average rent for a two-bedroom apartment in Reno-Sparks is $1,192 per month for almost the same size unit, according to a quarterly survey by Johnson Perkins Griffin Real Estate. Construction is still ongoing but nearly complete. Lee hopes people will start trickling in toward the end of December while the ground floor tenants start building. He hopes to grand open everything to the public closer to February.